MUST EAT/DRINK here in Philadelphia, PA! So, I’m finally back from my great trip to Philadelphia, New Jersey, and a short stint in New York City. I went because my cousin, Neema was getting engaged (yay!) and got to do some fun traveling throughout my trip. My first few days in Philly were spent eating cheesesteaks and roast pork sandwiches, as you can read about here. They were great and I really enjoyed spending quality time with my friends. While I was there, however, I also wanted to check out some of the more trendy spots. I’m not the major planning type – I would love to be, but I’m horrible at it. I’m much more spontaneous when I go on trips – it lets me be free, it lets me relax, and finding one or two unexpected treasures is always cool. However, there are two things I check before every trip I go on. 1. Food Network’s The Best Thing I Ever Ate website: If a Food Network star likes a dish, it’s probably pretty good. I check what places are in the towns I am visiting and I always manage to find something as they have most big cities covered. 2. GQ’s City Guides: The GQ City Guides have everything you need. Where to stay, where to eat, where to drink, and where to shop. They always have good local recommendations (even with hotels) that really evoke a sense of what each city is about. They have a good collection of major cities and hopefully they will add some more soon! Well, I was very lucky to have been in Philadelphia because I got to try out one place on each list! Let’s start off with THE BEST PIZZA I’VE EVER HAD. You guys know how much I love pizza – I make it at home and I find out artisanal pizza shops in different cities – because the combination of bread, sauce, and cheese is magic. I’ve had my fair share of pizza, and let me tell you – Osteria in Philadelphia is the best pizza you will ever eat. Hands down. The famed chef, Marc Vetri of Philadelphia co-owns Osteria. Vetri is a master of Italian cooking and Mario Batali went so far as to say Vetri, his namesake restaurant, was the best Italian restaurant in the country. Pretty bold for someone who’s an icon in the industry. I knew I wouldn’t be able to afford Vetri with it’s $150 tasting menu, so I ventured off to Osteria, where they have a lot of the same food at a more affordable rate – SCORE! Here’s a good tip. Like I said before, I’m a horrible planner. So, I obviously, didn’t make reservations. Osteria is a pretty happening place, so I probably wouldn’t have been seated for a few hours. But, there are almost always spots at the bar! So, if you want to try a great restaurant and didn’t make reservations, always ask if the bar is open because oftentimes you get seated immediately and the whole menu is available. In addition, you can make some good friends with the bartender or people you are sitting with and find out some good information on the city, as well as recommendations on what to eat. So, let me tell you about this pizza. Marc Summers, from The Best Thing I Ever Ate recommends the margherita. I was actually planning on getting it, but a pizza called Lombarda caught my eye. I asked the trusty bartender which one he preferred and he said definitely the Lombarda. Boy, am I glad I did. The Lombarda pizza has a baked egg, bitto cheese, mozzarella cheese, and cotechino sausage. Not only is this a unique combination, but I had never had bitto cheese or cotechino sausage before, so I had to try it out. It was perfect. The weather was cold and snowy outside. Cotechino sausage is spiced with cinnamon, nutmeg, and clove – so it has those great winter flavors that are so comforting at this time of year. The bitto cheese is a sharp cow’s milk cheese from – you guessed it – Lombardy, Italy! It adds a depth of flavor and sharpness to the otherwise creamy mozzarella. The herbs on top are rosemary and parsley. The perfectly cooked egg, with a beautifully runny yolk adds richness to this dish. I’ve read afterwards that cotechino sausage is usually served with a “custard” sauce made with eggs – so this combination is actually fairly traditional (think: sausage and eggs). Another interesting thing I tried there was a Sour Flemish Ale from Monk’s Cafe. I’ve never had a sour ale. And I’ve never had a beer like this before. To me, it seems like the perfect pairing for all foods. The sour ale has a great amount of mouthwatering acidity to it. Paired with food, it’s like squeezing the juice of a lemon over your pizza. 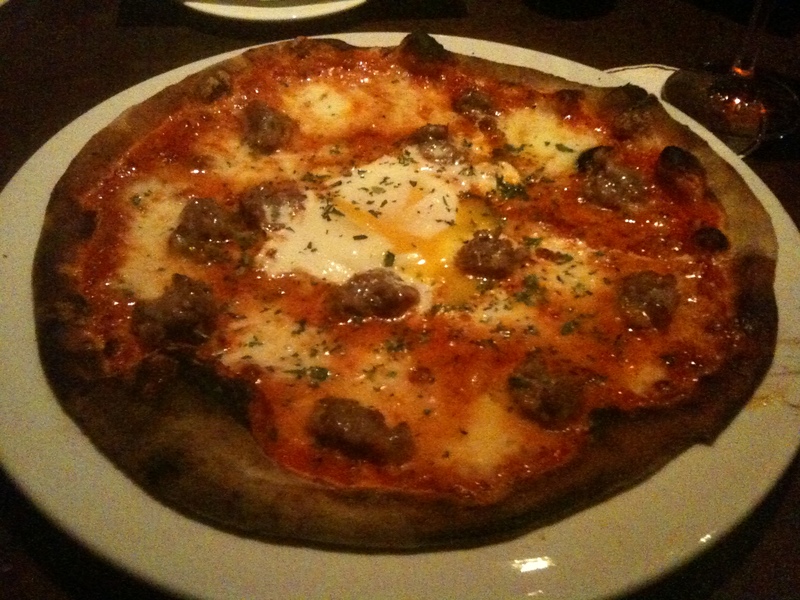 And frankly, that made it great with a pizza that was relatively rich which the cheese, sausage, and egg. I don’t know too much about sour ales, but I think I’ll have to make a trip down to the beer store and see if I can get some more. A very interesting find – especially for beer fans! And as we are talking about drinks, I headed to one of GQ’s Top 25 Cocktail Bars in the country. As you all know, our beloved Patterson House in Nashville is ranked #12! But in Philadelphia, there is this very hard place to find called The Franklin Mortgage and Investment Company, a prohibition style speakeasy that makes incredible artisanal cocktails. This place is awesome and a great place to hang out and have great conversation with friends. I apologize for not taking pictures here, as the speakeasy is a quaint establishment that one does not want to draw too much attention to. Besides, it was freezing, I had a million layers on, and cocktails were of the essence! I will, however, let you know what I got! I was there with 3 other friends, and we decided first to order a “punch” – a communal drink which comes in a carafe and is then poured into all of our glasses. You can also buy really large punches – reminiscent of the fish bowl we all had during college – but much tastier! The punch we ordered was: “The Collective Unconscious Punch” which is made with cognac, Venezuelan rum, arrack, lapsang souchong, demerara and angoustura bitters. This was a very good drink – it was more acidic then I would have thought, but had great complexity because of the smokiness of the lapsang souchong tea. I have no idea what “arrack” is – all I know is that it’s a spirit from the Middle East. Cool drink. As our first drink was a cognac drink, I decided to stay in the same realm by ordering a “Hunter’s Moon”, which had cognac, amontillado sherry, honey, fresh apple and lemon juice, peychaud bitters, clove tincture, and egg white served up. This drink was amazing and I could have had 5 of them. It was a very well crafted drink with acidity from the lemon juice, sweetness from apple juice/honey, spiciness from the cloves, and creaminess from the egg white. It is exactly what I needed on a cold day after traveling. 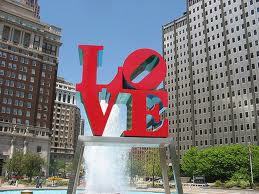 I hope I can come back to Philadelphia soon so I can try out more things at these fabulous places. If you are ever in town, make sure to stop by. I know you’ll love it! ← It’s Snowy in Philadelphia! Holy Crap, that does look like the beset pizza ever! I want that pizza! Ravi’s been trying to convince me that we should make a trip to Philly soon because of all the good eats (he’s more interested in the history, but knows that the food is what will get me there). We have a couple of good friends that recently moved here to Nashville from there and they rave about the dining scene. I used to live in Phila, and it is truly a fabulous dining scene from a humble sandwich to 5 star dining. It is definitely a mini-NYC. Living in Phila with excellent food, and then moving to a food void made me become a foodie.